The First Progress Platinum Prestige MasterCard Secured Credit Card currently has an Informr score of 7.9 out of 10. This score is based on our evaluation of 2 sources including reviews from users and the web's most trusted critics. First Progress Platinum Prestige MasterCard Secured Credit Card is typically available to those with poor credit scores (650 or greater). Yes Provide a minimum security deposit of $200. 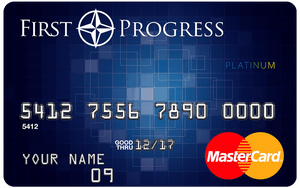 The First Progress Platinum Prestige Mastercard offers consumers with poor or nonexistent credit the opportunity to open and use a credit card. As a secured card, however, this card may not be the best option, particularly when the $49 annual fee is factored in. If you typically carry a balance, this card could be a strong choice, as it has the lowest APR on purchases compared to its First Progress siblings. But if you always pay your balance on time, the First Progress Platinum Prestige MasterCard® Secured Credit Card and its lower annual fee could suit you best.